You vs Parlour Waali Didi - This Crazy Video Is TOO Funny! Remember that annoying moment when your parlour waali didi says, “razor use kia tha kya? Itni kharaab growth ayi hai!”?! We’ve all been through this, haven’t we? And not just this, there are a lot of things she says that annoy us. 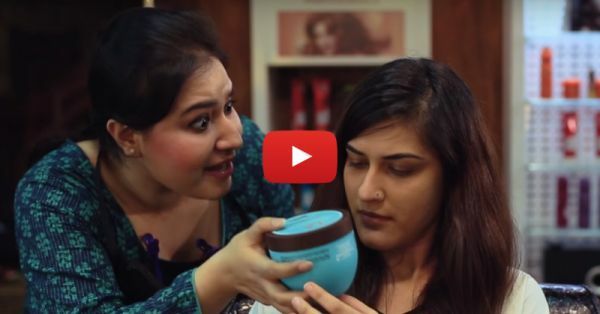 This hilarious video by The Timeliners perfectly describes what happens when we visit a beauty parlour and it’s SO relatable! So, if your parlour waali didi can’t stop talking while doing your eyebrows and upper lips, this video will make you laugh out loud! Watch it and share it with all your friends who have been through this… :P Also watch: Mallika Dua As “Naughty” Indian Women? This Is Just HILARIOUS!